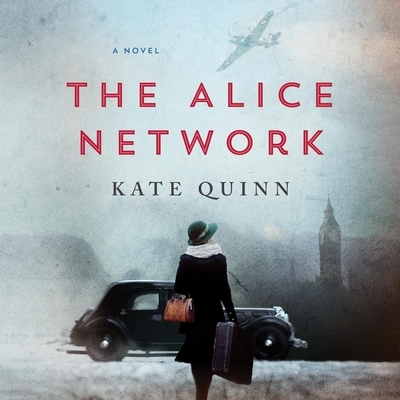 In an enthralling new historical novel from national bestselling author Kate Quinn, two women-a female spy recruited to the real-life Alice Network in France during World War I and an unconventional American socialite searching for her cousin in 1947-are brought together in a mesmerizing story of courage and redemption. 1947. In the chaotic aftermath of World War II, American college girl Charlie St. Clair is pregnant, unmarried, and on the verge of being thrown out of her very proper family. She's also nursing a desperate hope that her beloved cousin Rose, who disappeared in Nazi-occupied France during the war, might still be alive. So when Charlie's parents banish her to Europe to have her little problem taken care of, Charlie breaks free and heads to London, determined to find out what happened to the cousin she loves like a sister. 1915. A year into the Great War, Eve Gardiner burns to join the fight against the Germans and unexpectedly gets her chance when she's recruited to work as a spy. Sent into enemy-occupied France, she's trained by the mesmerizing Lili, the Queen of Spies, who manages a vast network of secret agents right under the enemy's nose.